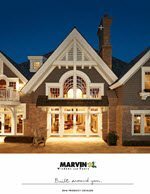 The Marvin Family of Brands is one company with three brands that is dedicated to creating products that make the places where we live and work more meaningful.- Marvin Windows and Doors, Integrity Windows and Doors and Infinity Replacement Windows. 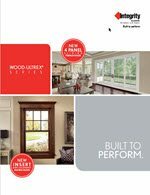 Integrity windows and doors are made with Ultrex®, a pultruded fiberglass with a patented acrylic capping that outperforms and outlasts vinyl, roll-form aluminum and other fiberglass composites. 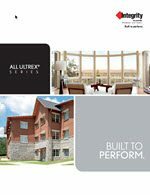 We use Ultrex and our proprietary pultrusion process to manufacture high-demand windows and doors that endure all elements without showing age or wear. the smallest details, as if we were building it for their own homes. And as a leader in innovation, Marvin® is dedicated to producing energy-efficient products that support a sustainable future. Their combination of superior craftsmanship and virtually unlimited design capabilities make Marvin the best total value on the market today.